Earlier this month, we released Embers of Dread, a brand-new campaign in the Road to Legend companion app for Descent: Journeys in the Dark! Over the course of this campaign, you’ll journey deep into the Ashen Hills, chasing a mad cult that seeks to free a terrible Dragonlord from his ancient prison. But just what goes into developing a multi-scenario, app-driven campaign for a game like Descent? Today, we sit down with Jim Cartwright to look at how he tackled developing the Embers of Dread campaign! I was overjoyed to get the opportunity to work on Descent: I love fantasy, I love grid-based tactical skirmish games, I love telling stories. It was truly a dream-come-true project. I spent the first couple weeks familiarizing myself with the game’s mechanics, to a depth that I never had as a player. Playing for enjoyment and playing to understand a mechanical function are two very different things. 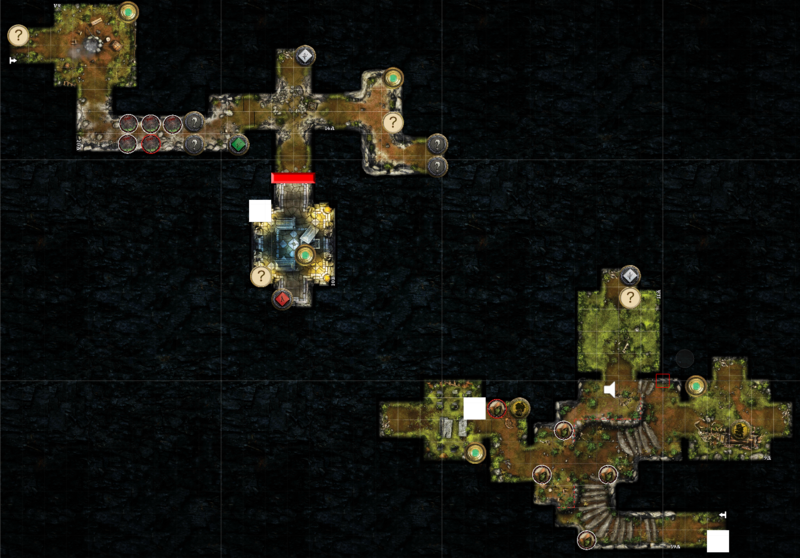 When I play Descent for fun, I am looking for solutions to the puzzles of the game. But as a developer, I look for how those puzzles are built and what makes them interesting. During this time, I also examined the technical side of the app. I wanted to get a sense of how things worked and how I might be able to push the boundaries. 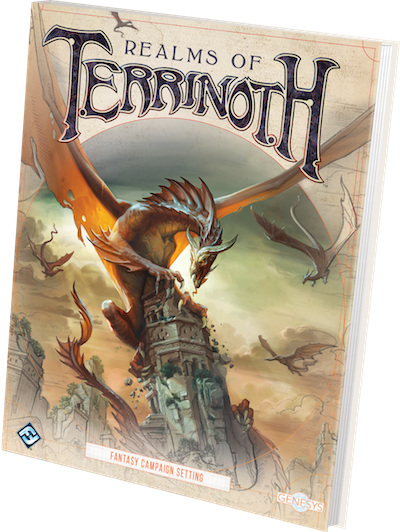 I also dove into the history of Terrinoth itself. I read through everything I could find, from previous Descent campaigns to the Realms of Terrinoth book for Genesys. Most importantly, I talked with anyone at the studio who had worked on a Terrinoth line. I asked questions about their design insights, their thoughts on the world’s history, and what excited them most about the setting. This initial stage helped me discover what I wanted to bring to Descent, from both a mechanical and story perspective. But I had a few things to consider first. What hasn’t been done before that I want to add? What has been done, but is something I want to expand? And lastly, how much could I do with the time and budget given to me? My answer to the first two questions came easily enough as I played through the previous Road to Legend campaigns. I had spent the previous year working on Mansions of Madness, and I love the puzzles and exploration found in that game. I didn’t really see anything in previous Road to Legend campaigns that took on puzzles in a way that captured that analytical feeling from Mansions of Madness. I wanted to find a way to bring that aspect into Descent. In addition, exploration in Road to Legend is mostly linear. While there are branching paths on the board that keep your direct path obscured, the map exploration is fairly easy to anticipate. I wanted to create quests that made map exploration feel less predictable. In answer to the second question, I decided to expand on the deep narrative design that Nathan Hajek explored in the Nerekhall: Seeds of Corruption DLC campaign. The way he tied player choices to rewards and consequences in that campaign was absolutely brilliant, and I knew that I wanted to do as much of that as possible. That last question was certainly one of the hardest to answer. Understanding a project’s scope and working within it is probably one of the most important skills for a designer. Having never worked on the line before, I had no real sense of how long some of my ideas would take to implement, especially the new puzzles and exploration concepts. And as a newer developer, I didn’t know what I didn’t know. I used my experience from developing on Mansions of Madness, as well as the experience of previous Descent developers, to predict what I could get done in the time that I had, and then I set out to work. In design, failing is inevitable and expected. As much as we want our initial ideas to be perfect, more often than not they need to be taken apart, reworked, or just burned to the ground before a final form can emerge. It is only through the iterative process of creating, testing, and failing that we truly discover something interesting. The faster we do that, the quicker we get to the designs that work. Luckily, I failed right away. I realized quickly that my initial designs for puzzles and exploration were not going to work. After putting together my first map, I sat through an initial playtest that felt like a slog and was not very fun. My internal testers liked the concept of exploration, but it didn’t work within the more complicated tactical structure of Descent. 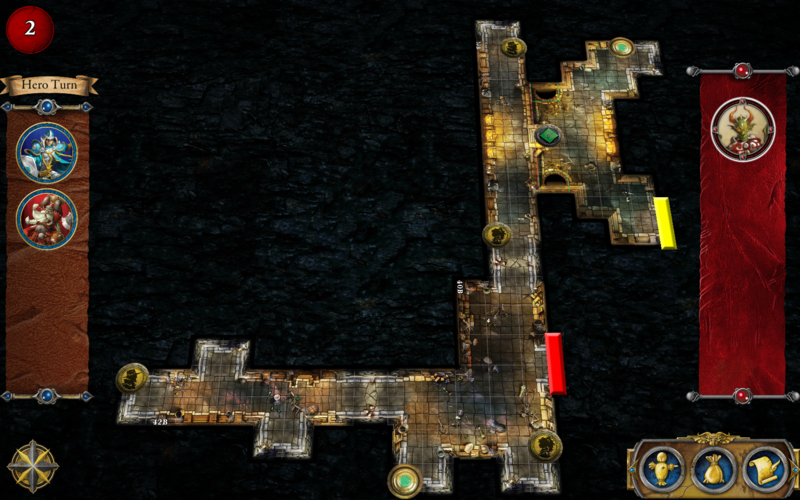 At its core, Descent is an efficiency puzzle. Each piece of that puzzle that is obscured with hidden information adds more uncertainty and ambiguity to the solution. In trying to create a sense of exploration, I added more unpredictability to the puzzle, which made it very difficult for players to make informed choices. Create, test, fail. It also turns out that writing an incredibly deep, branching narrative takes a lot of time. Every choice needs to be fleshed out and brought back to a central point so the story can continue—and those choices also need to mean something further along in the campaign. 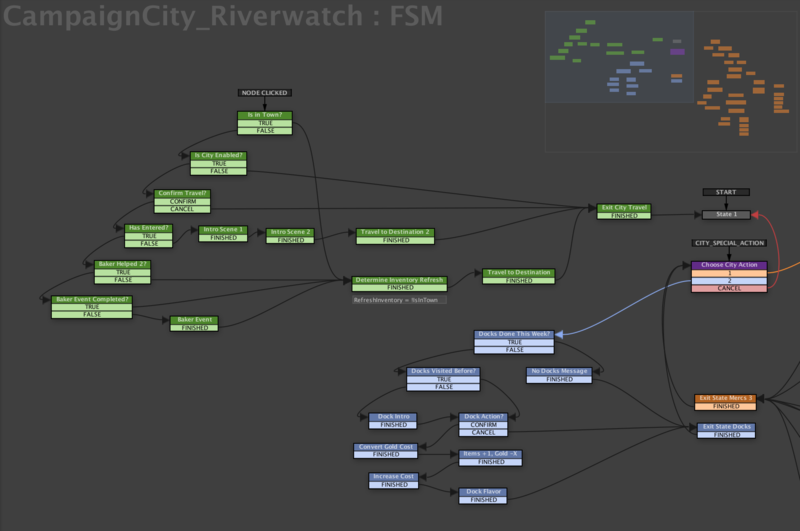 I played around with several structures, but after testing a few basic concepts for a branching narrative, I discovered that I wouldn’t have time to fully realize it and had to take a different approach to storytelling. Create, test, fail. After weeks of burning down most of my ideas through iteration, solutions began to slowly present themselves from the ashes. I found ways to obscure exploration that still worked within the puzzle. (If you are looking for an example, the Fort Rodric quest is my personal favorite.) I also found different ways to bring puzzles to the game that don’t take away from the tactical gameplay. And lastly, with a lot of help from Dan Clark, I was able to incorporate many of my story ideas into the final product. Create, test, succeed! A fellow developer once reminded me, “A design is never truly complete. Only abandoned.” If we tried to implement every idea we had into a project, it would never release. There is always one more thing we want to add or try to improve. It wasn’t until I was in the final weeks of development that I truly understood the truth of that statement. In fact, as the project came to a close, I had a whirlwind of ideas that suddenly sprang to my mind at all hours of the day and night. There were many times I would be at home and think, “What if I added A…” or “Maybe if I changed B…” But at a certain point, I would no longer be building and improving, just tinkering and changing for the sake of change. And in those late stages, there’s no time to test new concepts, which presents a risk to the whole project. At a certain point, it’s better to finish one project and carry your ideas on to the next one. The development of Embers of Dread taught me a lot about game development. For example, my failures are just as important as my successes. And while not all of my initial ideas for innovation and expansion came to fruition in the way that I thought, they did inform my process and direction. In the end, the journey was just as important as the destination. It has truly been an honor to expand on Descent and I hope everyone enjoys playing Embers of Dread as much as I enjoyed bringing it to life!